Here’s a BMX contest for a good cause. 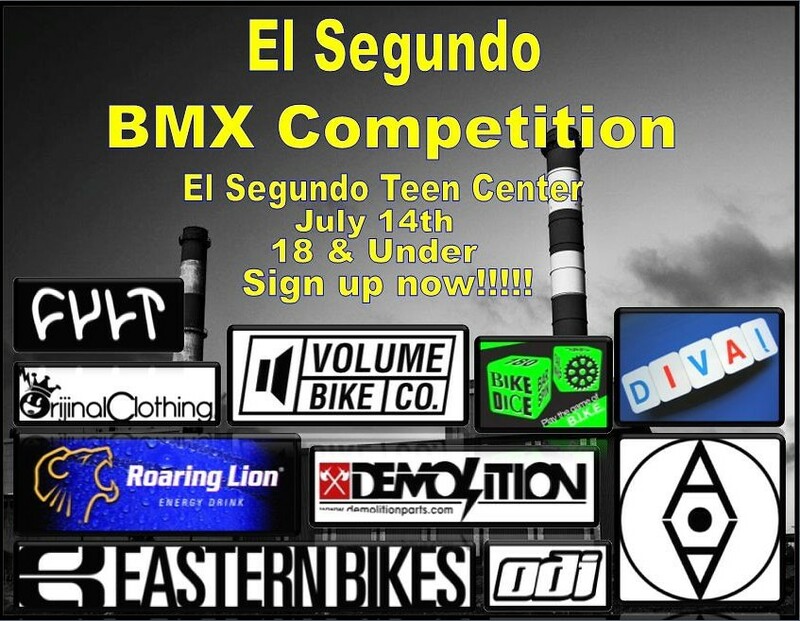 In order to get the city of El Segundo to allow bikes in the skatepark, the locals got their act together and are holding a contest to show the city Why BMX Is Awesome. There’s not a time listed but check out the flyer for the details they do have! This entry was posted in BMX, Contests & Jams, Why BMX Is Awesome and tagged BMX, Contest, El Segundo, Skatepark, Why BMX Is Awesome by Hollywood BMX. Bookmark the permalink.